The government is set to introduce Aadhaar-enabled devices with iris scanners to verify identity for delivery of government services, according to Arvind Gupta, CEO, MyGov, the government’s digital platform for citizen engagement in governance. 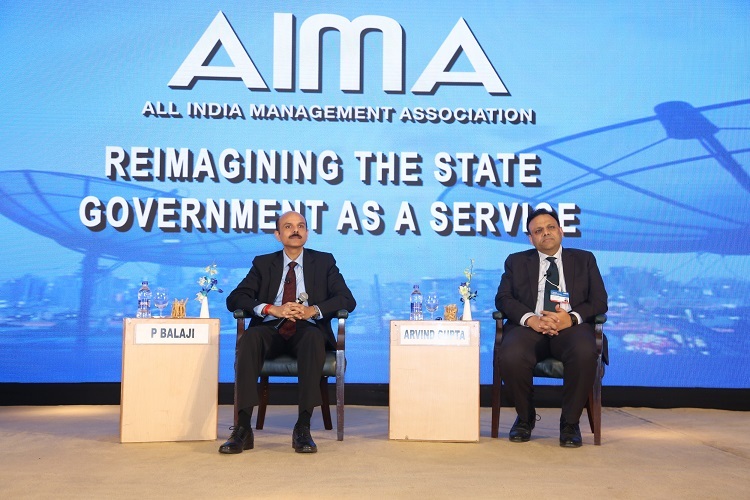 He was speaking at the 4th National Leadership Conclave organized by All India Management Association. “People could apply for multiple government schemes using such devices,” he said, mentioning that post-offices and other government services will have such machines. Gupta informed that on the latest count, 415 government schemes had been linked to Aadhaar. He said that Aadhaar was the basis of the government as a service in India and it was a platform for all kinds of services. Aadhaar saved a lot of money as the cost of acquisition of 1.2 billion users was only $1.5 billion. “The cost of launching a service using Aadhaar is extremely low,” he said. On data ownership, Gupta said that the government was only the custodian of citizen’s data. He said that India needed its own digital platforms with more of the data of Indian consumers because digital platforms posed threats to national security and elections. He cited the controversies involving social media platforms in the US as a warning. Regarding the security and operational issues of Aadhaar, Gupta said that each technology goes through upgrades and Aadhaar is also changing. However, he said that while there were challenges of connectivity in the rural areas and at times the biometrics did not work, one could use the OTP method to avail of government services. Jairam Ramesh, former minister and sitting Rajya Sabha member, also addressed the conclave. Talking about jobs and regional disparities, he said that jobs get created where the jobs already are. He said that the internal migration is set to increase substantially and that will create social tensions and local movements against outsiders. In the economically dynamic parts of India, particularly southern India, the population will start declining in 20-25 years and these parts will attract labour from the other parts, where population will continue to grow, he said. The internal remittances already amount to about $10 billion, he said. Regarding job creation, Ramesh said that all the fiscal incentives were directed to make it cheaper to invest but none was aimed at making hiring people cheaper. “All our economics has been developed in the countries that are labour scarce,” he said. Regarding the impact of labour laws and technology on job creation and business adjustment, he said that it was much easier to restructure where there were new jobs but not where even the existing jobs were being lost. Responding to the criticism of Nehruvian economics, Ramesh said that India was well served by the creation of infrastructure and institutions in the 1950s till the 1980s. He pointed out that Bangalore was built by the public sector till the 1980s and Infosys and Wipro built on what had already been created. On licence-quota regime of the 1970s and 1980s, he commented that if the government had allowed free investment, Indian companies, such as Reliance and Bajaj, would not have become large because of foreign competition. “A lot of the private sector in India got created because of the licence-quota raj,” he said. In a session about the startups’ role in India’s economic growth, Umair Mohammad, Founder & CEO, Wigzo Technologies said that the digital playing field was not level and the small businesses needed help in leveraging machine learning and artificial intelligence. He noted that Indian startups were enabling the small businesses with few employees to automate marketing and find customers beyond their neighbourhoods. Kumar Abhishek, Founder & CEO, ToneTag said that India needed a digital payment technology that could be used on every kind of mobile phone and his company had developed a technology that uses sound waves to enable communication between devices. “It is possible to upgrade even the existing card swiping machines and ATMs for universal use by installing a software,” he said. The two-day National Leadership Conclave ended today. On the first day, the conclave was addressed by Suresh Prabhu, Minister of Commerce and Industry; Jayant Sinha, Minister of State for Civil Aviation and many distinguished business leaders. The conclave was chaired by Sanjiv Goenka, Chairman, RP-Sanjiv Goenka Group.